Eagle Masterpiece, Other Shape Guitar from B.C. Rich in the Eagle series. 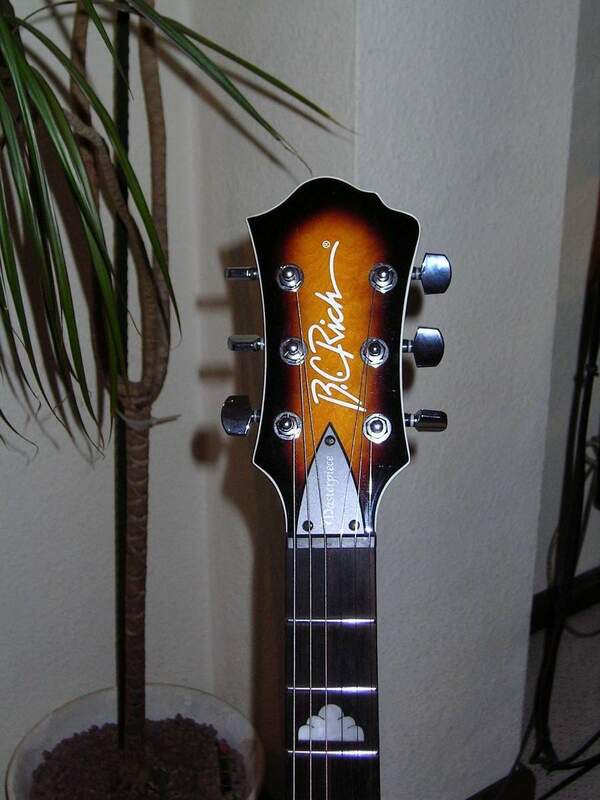 - Instrument fixed bridge, to the Les Paul, not rather to BC Rich. - Maple neck, rosewood keyboard with intercalations shaped clouds. - 24 jumbo frets well polished. 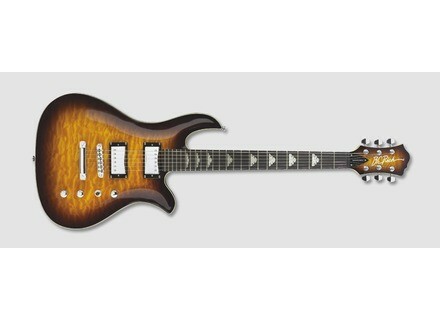 - Archtop, veneer "quilted maple"
- Two humbuckers BC Rich BSDM, which means Broad Dynamic Matched sonically. And it works pretty well. - A pickup selector 3-way, two volume controls and a tone. - The look is hell, however, the Eagle is still one of the wisest forms designed by Bernie Rico, but not all, she played very well, it is light The quality of raw material is irreproachable and micro BSDM deliver what they promise ie a very good sound for any style of modern music. And the icing on the cake she did not go out of tune, which is not very evident in China. 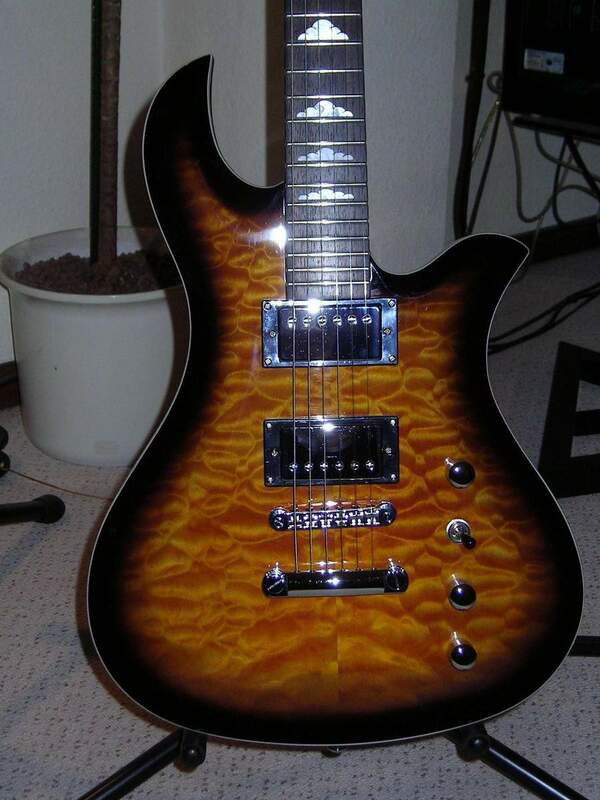 - I play funk, the microphones are revolutionary BSDM it looks like the sound of single coil pickups Strato when played clean and sound as soon as it saturates, it looks like alnicos humbucker at the Paul Almighty style "in your face."